Literary theorist, poet and prose writer, translator. 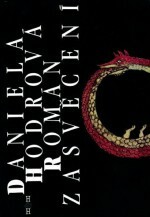 Winner of the State Award for Literature (2011), Franz Kafka Prize (2012) and Magnesia Litera for best book of the year (2016). 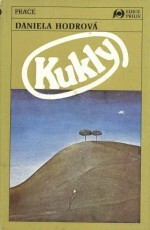 Her books have been published in a number of languages including English, German, French, Bulgarian and Polish. She was born in Prague on 5 July 1946. 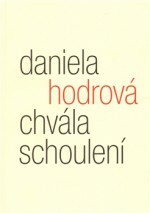 It would be a shame to be afraid of Daniela Hodrová. With her prose, the reader is plunged into a pleasant, stationary timelessness. For the writer, capturing the feelings of the characters is much more important than strictly observing the ticking away of the hours. In this respect, and in others, she resembles the English writer Virginia Woolf, who found inspiration in another noisy European metropolis, London. She graduated in Czech, Russian and French. 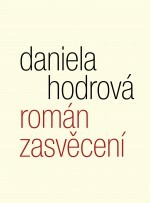 She worked as an editor at Odeon and in the department of literary theory at the Czechoslovak Academy of Science’s Institute for Czech Literature, which she headed for a number of years. 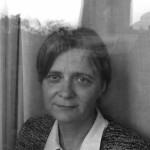 Her works range from fiction to literary-science essays and she writes for discerning readers. Each of her novels expands and elaborates upon her research from previous works. 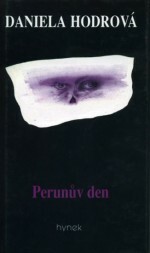 She published her first poems in magazines in the sixties, and her first book was the literary-science work Hledání románu (In Search of the Novel), which builds on her earlier theoretical works in which she explored the boundaries, limits and possibilities of the novel. 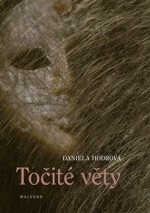 Her most important books include Román zasvěcení (The Novel of Initiation, H+H, 1993) and the trilogy Trýznivé město (City of Torment): Podobojí (A Kingdom of Souls), Kukly (Chrysalides/Masks), Théta (Theta, Hynek, 1999), in which she wanders through Prague across space and time; as well as literary and historical references, here she deals with the death of those close to her, especially her two husbands. 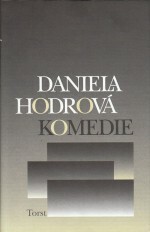 The novel Komedie (Comedy, Torst, 2003) follows on from this trilogy. Here the Olšany Cemetery, which the author lived opposite as a child, became the site for the author’s encounters with people from her life. 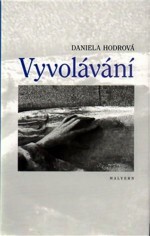 In a similar vein is Vyvolávání (Invocation, Malvern, 2010): “Vyvolávání is a text which cannot easily be categorized in terms of genre. We certainly cannot speak of a traditional novel – the narrative element plays a far from central role and the reader cannot expect a single, unified story. Here the genre of the novel blends with others and the text can also be described to some extent as an essay or even a memoir. The usual storyline is missing and is replaced by a sort of colourful mosaic which is composed of smaller units – short tales, scenes or just thoughts and memories captured in a word,” writes Ladislav Nagy on the iLiteratura.cz website. 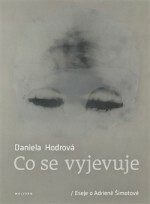 Daniela Hodrová’s latest prose work is Točité věty (Spiral Sentences, Malvern, 2014), in which the author again thematizes the novel, creation and death – now the loved ones she has lost include the artist Adriena Šimotová and the writer Bohumila Grögerová. 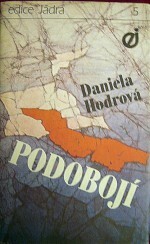 From her essays and theoretical works it is worth mentioning the collections Poetika míst (The Poetics of Places, H+H, 1997) in which, together with her co-authors, she deals with important places in 19th- and 20th-century literature, such as the castle, cottage, pub, school and educational space, prison, church and religious space, factory, tower or bedroom in Czech literature, which she compares with the context of world literature. 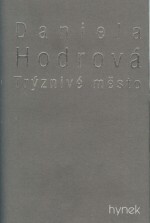 Kniha …na okraji chaosu… (A Book…on the Brink of Chaos…, Torst, 2001) is another work by Hodrová and her colleagues; across almost nine hundred pages they analyze the landscape of the modern European novel. The essays on the poetics of ephemerality Chvála schoulení (In Praise of Curling Up, Malvern, 2011) examine the spiritual horizons of the contemporary western individual. 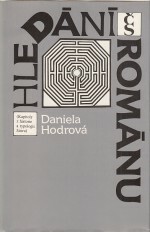 The lengthy “essays on mythopoeia” with the title Citlivé město (The Sensible City, Akropolis, 2006) view Prague as a benign labyrinth similar to a mandala.